We're kind of a big thing! What our clients say about us ... on Facebook! "Great time and great fishing. Thanks and see you guys again"
expected. 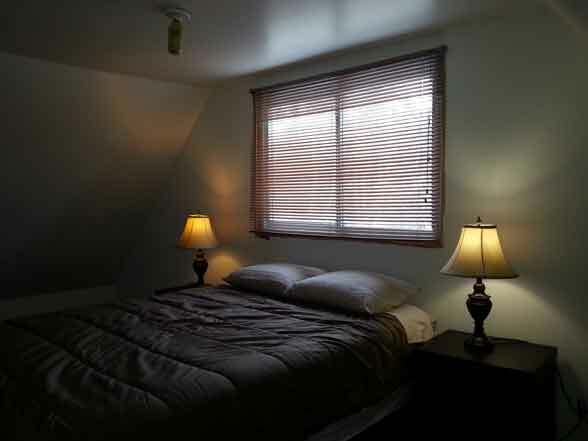 The food and accommodations were above par as well." "A great outfit from the great Canadian Outdoors and some of the best people and staff. Fantastic experience." "I've been to a lot of outfitters and never EVER have I been to place that goes above and beyond for their friends. Honestly you get treated like you've known them for years and they make sure everyone has an amazing time! For that I say thank you Kyla and to Matt as well. I'll be back as often as I can!" "Had a blast on the trails with my son. Great staff, great trails, great cooking and a real Canadian wilderness experience. The bass were biting like crazy!" 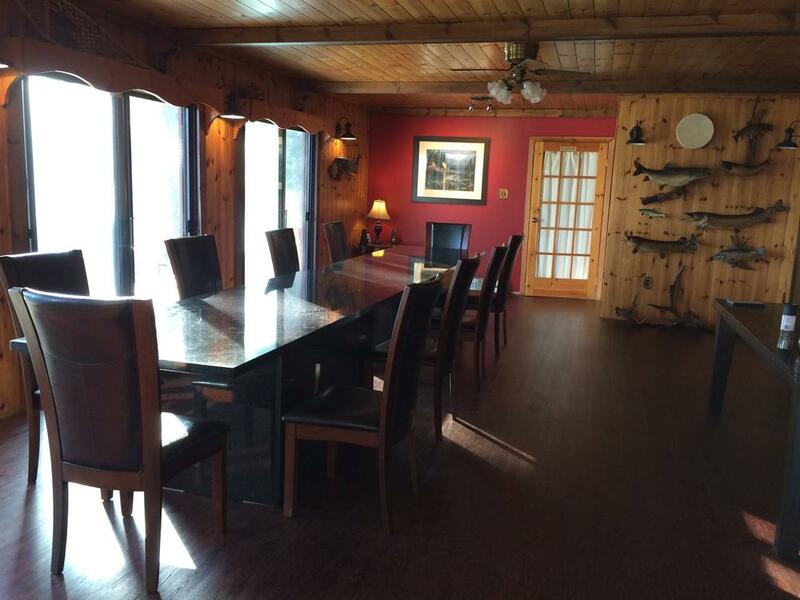 "It's a great lodge with amazing hunting and fishing. It's a very well kept secret. Cabins are nice. I hunted for years over the hill and far away. Many big bears and a bull moose a year. 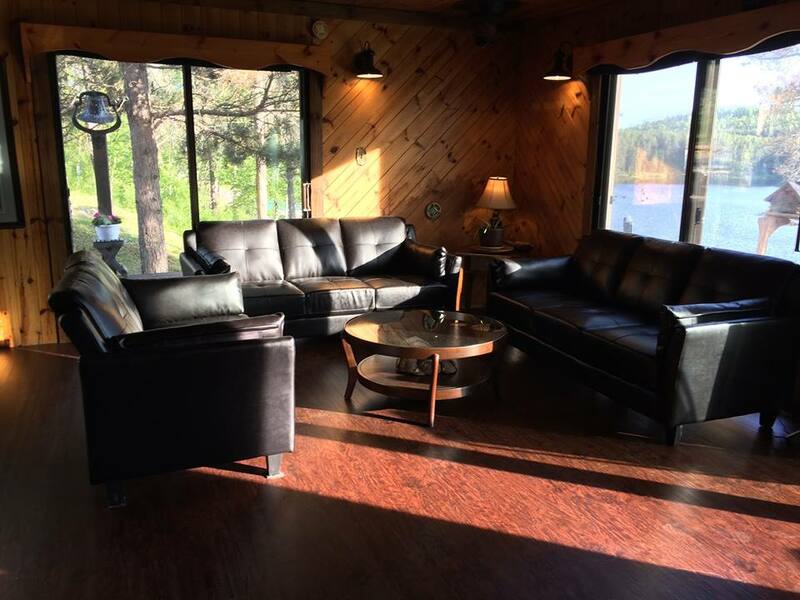 Bull Lake Lodge is another great option. But Ritchie is newly owned and ready to go." 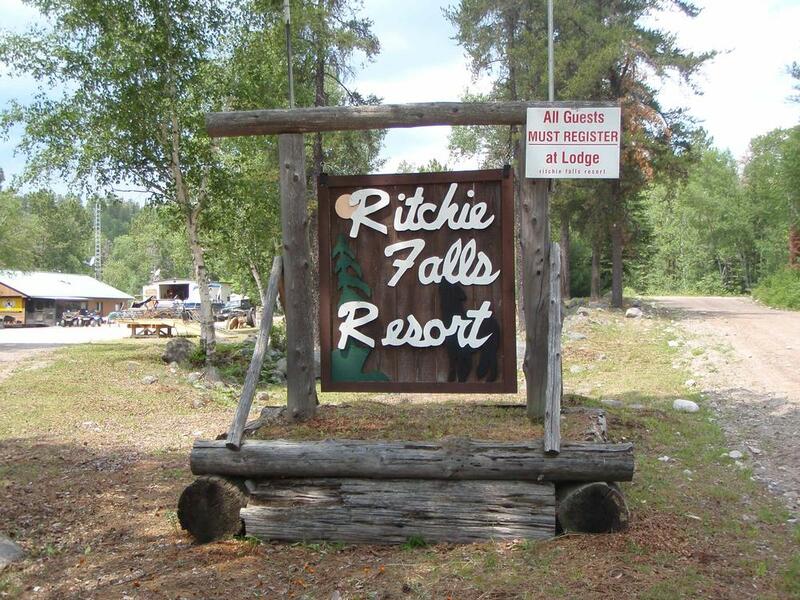 Dave Baker, President of the Ontario Federation of ATV Clubs wrote about launching an ATV tour from Ritchie Falls Resort in "Elliot Lake's Famed ATV Trails - Worth the Drive" published in Northern Ontario Travel on August 22, 2015. Lawrence Gunther writes of his experience at Ritchie Falls. He is North America's only blind professional angler and host of Lake2Plate TV and Blue Fish Radio show. "True Canadian Grand Slam" published on his own website LawrenceGunther.com in July 2017. In part two of this Blue Fish Radio episode, Matthew Owl, the First Nations Manager of Ritchie Falls Resort, speaks to Lawrence Gunther about growing up on reserve with an Ojibwa father and a mother who comes from New York City. Mathew touches on his 15 years of experience with delivering and promoting indigenous tourism, and how he and his family found themselves leading on the purchase and eventual transformation of Ritchie Falls Resort, a 100-year old fish/hunt camp located just north-west of Sudbury Ontario. 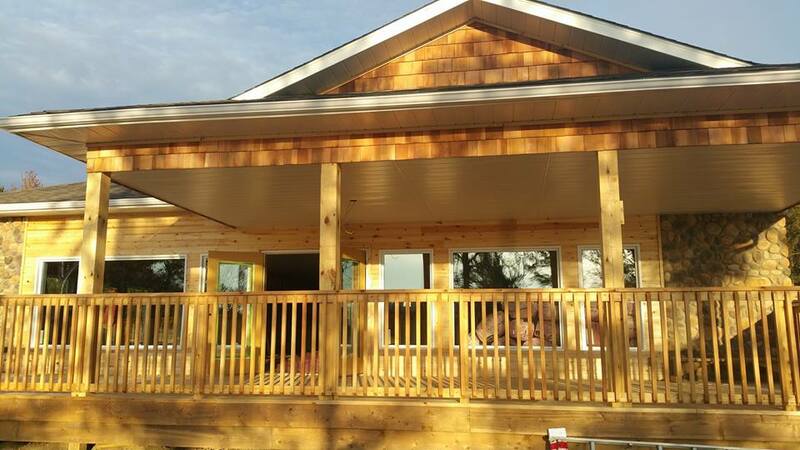 Five years into the project, over $1-million invested in rebuilding infrastructure, and the business is turning a profit. Matthew and Lawrence explore what it takes to learn from past mistakes and to forge new opportunities inbusiness and in life. In episode 145 of Blue fish Radio Lawrence Gunther sits down with Ritchie Falls Resort’s co-manager and guide Kyla Lee Owl to discuss her passion for hunting and fishing. 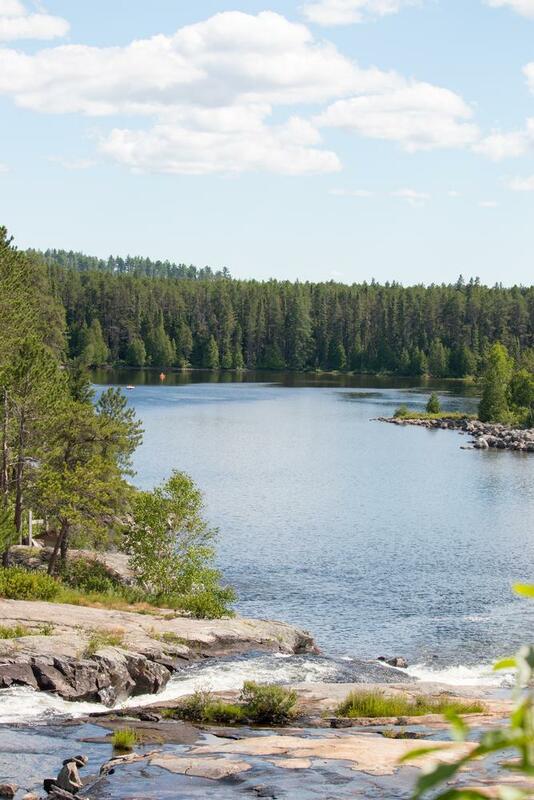 A dedicated bow huntress and angler, Kyla walks Lawrence through the process of sustainably managing the 1,000 square kilometer bear hunt area deeded to the Resort by the Ministry of Natural Resources and Forestry. Hear why Kyla believes women hunters are far more likely to bag large game. Kyla talks about her life journey circling back-around to her origins where she’s most comfortable – in the wild. And now, Kyla and her life partner Matthew Owl are working hard to transform Ritchie Falls Resort into an indigenous-inspired eco-tourism year-round operation. Interview with Chief Paul Eshkakogan Aired Begins at 1:12:00. Ends at 1:18:00.